Benefits that go beyond your regular Medicare. Medicare Supplements (also known as Medigap) pays benefits in addition to your original Medicare and help to pay for your out-of-pocket healthcare costs such as co-pays, hospital visits, doctor’s office visits and more. Medicare recipients can literally save thousands of dollars if they have the right Medigap plan in place. While most Medigap plans work much like a regular PPO, it can be difficult to select the right plan. We can help you understand and sort through the maze of options to secure the plan that best fits your healthcare needs and budget. Note you must be enrolled in Medicare to purchase a Medicare Supplement. While you can buy one any time of the year, it’s advantageous to do so during open enrollment to skip medical underwriting. Learn more about Medicare by clicking on the toggles below. When Can You Sign Up For Medicare? To sign up for Medicare Parts A & B, most will have a 7 month period that begins 3 months before the month you turn 65, includes the month you turn 65, and ends 3 months after the month you turn 65. Medicare is complex. We suggest you call our office for more information. Note: By providing information via our contact form, you agree that an authorized representative or licensed insurance agent/producer may contact you by telephone, email or mail to answer your questions or provide additional information about Medicare Supplement/Medigap Plans. 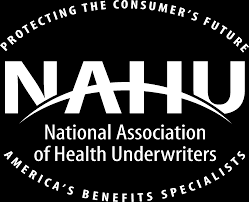 Agent: Northwest General Insurance and Financial Services is a licensed insurance agency authorized to market Medicare health plans. This is a solicitation for insurance. Please note you have no guarantee issue. Offerings of insurance are made based only on submitted applications. Neither Northwest General Insurance and Financial Services, nor its agents, are connected with the Federal Medicare program.